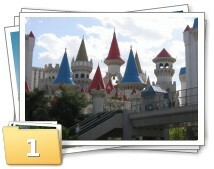 I originally wrote this PHP photo album in a big hurry in March 2004 before a holiday in Las Vegas. I'd just got a digital camera and I wanted a simple photo album which I could understand and could use from any internet cafe. 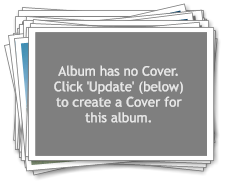 I've since improved the albums a bit and added a few features, but the albums are still simple to understand and use. To create a new album, all you need to do is create or upload a folder inside the ./photo_albums/ folder, and put photo's in it. This is now an 'album' and it will appear on the albums index. All folders inside the photo_ablums folder become albums - ever subfolders - so you can have albums with other albums inside. Albums which contain sub-albums have a little folder icon their cover, with the number of sub-albums on it. 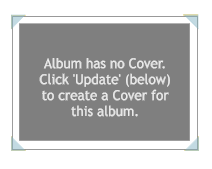 Clicking the 'Update Thumbnails' link will create thumbnail and medium sized images for all the pictures in the album, and also create a cover for the album. Thumbnails go into a '/.thumbs/' folder inside the album folder and medium files go in a '/.medium/' folder – both of which will be created for you. Clicking on the thumbnail image will take you to the image viewer which displays the 'medium' sized image, along with some information about the picture. You can click on the medium sized image to load the full sized original picture in your browser. 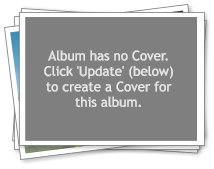 When you update the thumbnails after creating or adding photo's to an album, a cover image is created for you. These covers vary depending on the number of images in the album. 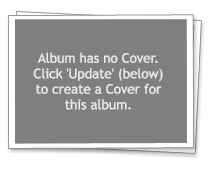 Your actual album covers will have the first picture in the album in place of the gray rectangle. Album has 4 or less images. Album has 5 to 10 images. Album has 11 to 20 images. Album has 21 to 40 images. This album has 20 images in it (shown by the  after the album name), so it gets the medium album cover, with the first picture in the album on the top. 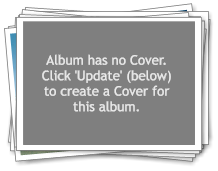 It also contains a sub-album, so it's got the folder icon, with a 1 on it.